Jerry is an instructor at Emeritus College in Santa Monica, California where he teaches courses in digital photography dedicated to seniors. He also has taught introductory courses in Photoshop Elements. I buy 3 or 4 cameras a year as I am always looking for that one perfect camera and still have not found it. Come close, but no winner. Think about it for a second; if you're trying to take really great bird pictures you want a fast lens and a lot of zoom. That almost always means a bigger camera, and probably a bit heavy as well. At a party you might like something smaller and unobtrusive. Each set of circumstances and conditions tend to dictate a somewhat different type/style camera. It is hard to balance cost along with your perceived photographic needs as well as your photographic knowledge and/or ability. Trying to evaluate things like: zoom range; viewfinder; fixed, tilting or fully articulating LCD; maximum lens aperture; movie functions and types; weather sealing or proofing; weight; size; these are just some of the factors that should play a role in making that choice. Sometimes the placement of buttons or dials becomes even more important as to how well you will like using a particular camera. Sometimes intangibles like ease of use of the menu or the degree of customization may become final determining factors. What is close to ideal for me may be a horrible choice for you. 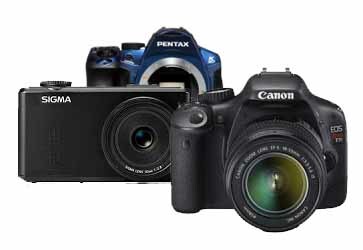 ZOOM RANGE In today’s digital world, optical zoom in even pocket sized cameras have reached 50-60x. The lens can go from 24 or 28mm wide angle to 1200mm or more. That amount of optical zoom in a very compact camera generally has some very negative tradeoffs. The lenses on those cameras lose their fast aperture, if they have one, very quickly as you start to zoom out. That fast f2.8 lens at 24mm quickly slows to f5.6 by the time you zoom out to as little as 100mm on some cameras. Some of those lenses can be very much slower than a camera with less optical zoom. On some cameras you can increase the zoom range by reducing the resolution, sometimes a worthy trade. LENS APERTURE-SPEED A faster lens (larger opening, smaller F number) means you can take pictures at higher shutter speeds and can contribute to getting sharper pictures, IF you used that higher shutter speed. A big lens opening yields a shallower depth of field (DOF). Note: MOST lenses are marked with 2 aperture values, the larger numbered one is at maximum zoom, the smaller numbered one is at maximum wide angle. The drop in lens speed is NOT linear but rapidly occurs as you start to zoom in on your subject. The bigger lens opening means you can use a lower ISO even with higher shutter speeds. Using a lower ISO level means less noise in the image and thus a sharper picture. A faster lens (larger lens opening) also means not having to use flash as often. And larger lens openings also means that you have an increased ability to blur the background so that your subject stands out better. That faster lens almost always means faster auto focusing even in poor light. VIEWFINDER The more zoom a camera has the more important it is to have a viewfinder. The need becomes even more acute in bright sunlight. Trying to use a camera at or near maximum zoom but without a viewfinder in bright sun can be an impossible obstacle. The newer EVF (electronic viewfinder) closely mimic the best optical viewfinders and sometimes offer some advantages. A few of the cameras with a built-in EVF (electronic view finder) have an eye sensor which automatically switches from the LCD to the EVF as you place your eye near the EVF. The EVF can display a live view, i.e., how the picture will look when the shutter is tripped by just half pressing the shutter button. That is not possible with some of the optical viewfinder. On the other hand, some type of an optical viewfinder may show you what is happening as you follow the action of a scene, there is no lag in what the camera is showing in the viewfinder and what will be captured. Again, depending of the type of optical viewfinder it may be best for taking fast action pictures. Some cameras do not have a built-in viewfinder. On some of those cameras there is an accessory viewfinder, generally an electronic viewfinder that use the external flash bracket. That increases the bulkiness of the camera, may limit your use of an external flash, and gives you something else to carry around and perhaps lose or break. In the next post, we’ll look at the size and weight of the camera, the LCD, the megapixels and the controls and shooting programs.